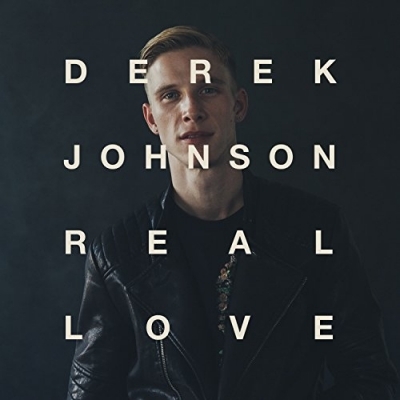 Jesus Culture artist and worship leader Derek Johnson has released his debut album, Real Love. This is his first solo record and features 12 original tracks where Johnson utilizes his passion for message-driven songwriting to share his hope in the God of real and authentic love. Read More Jesus Culture artist and worship leader Derek Johnson has released his debut album, Real Love. This is his first solo record and features 12 original tracks where Johnson utilizes his passion for message-driven songwriting to share his hope in the God of real and authentic love. Derek Johnson softly leads us into album opener 'Our Salvation', this gentle intro doesn't last for long, and then the song blasts open the synths, drums and guitars, all turned up loud for the big chorus. This song has been given a modern sounding overhaul that many other worship leaders are using and it sounds great. 'The One We Love' turns the delay on the guitars up to the 'U2' level (it's somewhere past the number 10 on the delay pedal setting). This song does have that American radio friendly feel to it, but also has some very strong lyrics about giving God everything. One of the biggest positives of this album is Derek's voice. It sounds so rich and wonderful that songs like 'Jesus I See You' and title track 'Real Love' are given an extra level of quality. For me, when Derek is more creative with his vocals on his songs he produces some amazing work. You can't get away from the fact that at the heart of Derek's music is a love of worshipping God, and he doesn't hide it in his music. These are all songs that aim to tell God how wonderful He is. You only have to listen to the heartwarming 'Power In The Cross' to hear a man who is trying to dig deeper into the heart of God. The standout song on the album has to be 'I Belong To You'. It really is a stunning song. Musically, lyrically and melodically, everything just fits perfectly together. There are many different moments on the album. Tracks like 'My Great Love' are the usual pounding guitar driven anthem that gets the crowd jumping during the live settings you might hear these in, and then there are wonderful tender worship moments with creative led synth songs. All working together to create this quality album. On this record Derek is given space and time to be creative musically, yet doesn't always push the boundaries too much. When you step back and listen to this album as a whole, this is all about one thing, and that is songs that take the listener closer to God and thankfully Derek Johnson captures that brilliantly.